What Does She REALLY want for Valentine’s Day? Carpet Cleaning Perhaps? February is the Month of Love…A Time to Celebrate Romance and Fall in Love! And a time to remember what is really important to her. Like a Clean House! Surprise her this year with a gift that she REALLY wants! Carpet, Upholstery, Tile & Grout or Oriental Rug Cleaning will be sure to win her heart! Stay away from the ordinary…And Stick with the BEST gift! 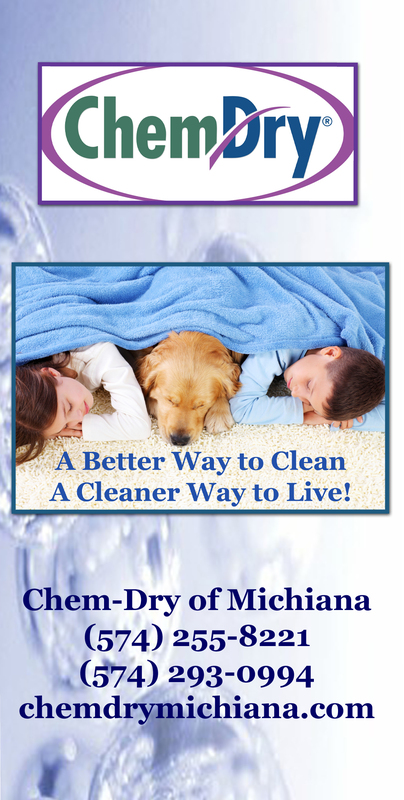 Chem-Dry of Michiana will be sure to make your Valentine’s Day the best ever. Call today for a gift certificate or to schedule an appointment! This entry was posted in Holiday Greetings and tagged Carpet Cleaning Elkhart, Carpet Cleaning South Bend, oriental rug cleaning, tile grout cleaning, upholstery cleaning, Valentine's Day Gift Idea. Bookmark the permalink.